Membership to the Range Rover Register costs just £32.50 (UK) or £40 (Europe and overseas). We accept payment by PayPal, credit/debit card, cheque or Direct Debit. For UK members paying by Direct Debit the annual fee is reduced to £30. If you wish to pay by bank transfer, please contact our Membership Secretary. Just use the appropriate button below to manage your membership. 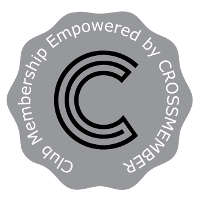 PLEASE NOTE that the Crossmember service which we use for our membership will be undergoing maintennace over the weekend of 26/27/28 April, so please be patient during that time. For new members wishing to join the Range Rover Register. For existing members needing to renew their membership, please have your membership number to hand. To view/update your own membership record, you will need to supply the email address that you registered with the club in order to gain access. You can also renew your membership here if you’ve forgotten your membership number. See our Data Protection Policy.